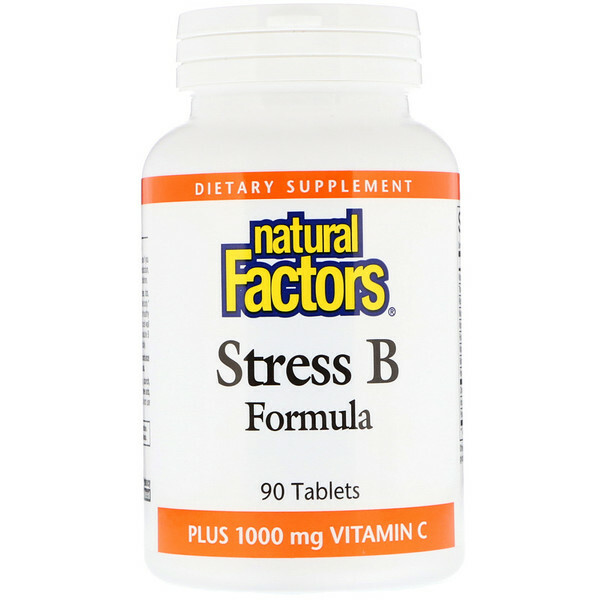 The B vitamins in Stress B formula work together to metabolize carbohydrates, fats, and protein, which contributes to an increased energy production level in the body. They also support a healthy nervous system and mood, and are essential for healthy skin, hair, and vision. Vitamin C, a powerful antioxidant, is added to maintain cell wall integrity and support healthy bones, cartilage, teeth, and gums. Water-soluble B vitamins and vitamin C are not stored in the body and must be replenished daily. Microcrystalline cellulose, coating (modified cellulose, glycerin), croscarmellose sodium, magnesium stearate (vegetable grade). Contains no artificial colors, preservatives or sweeteners; no dairy; starch, wheat, gluten, yeast, soy, corn, egg, fish, shellfish, animal products, tree nuts, or GMOs. Suitable for vegetarians/vegans. 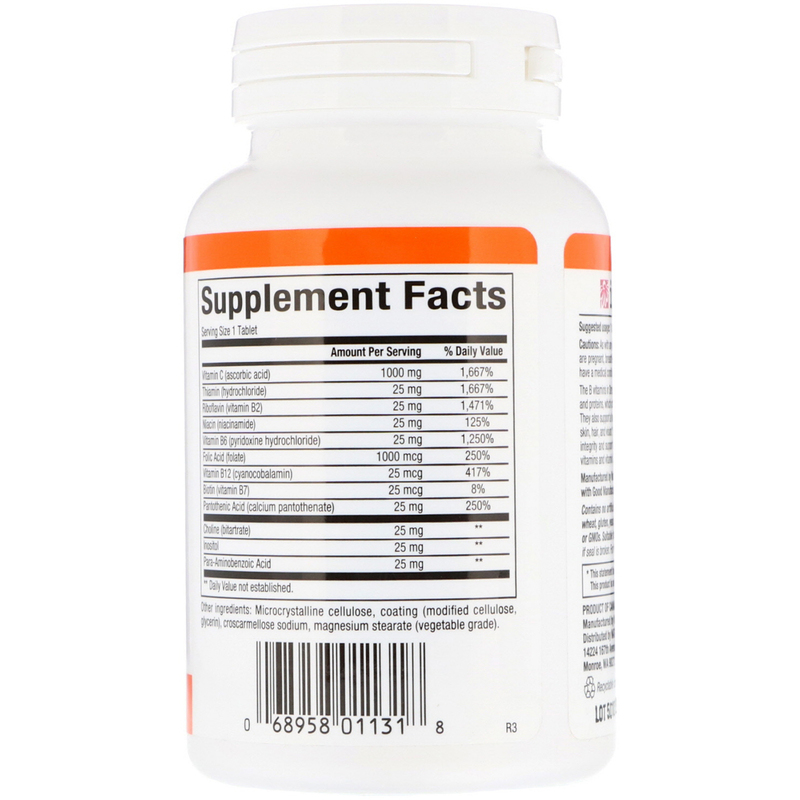 Caution: As with any supplement, consult your health professional before use if you are pregnant, breastfeeding, or trying to conceive, or if you are taking medication have a medical condition, or anticipate a surgery. Keep out of the reach of children.